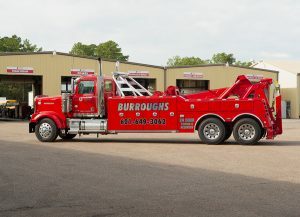 Burroughs specialized Towing, Recovery, and Crane Needs. 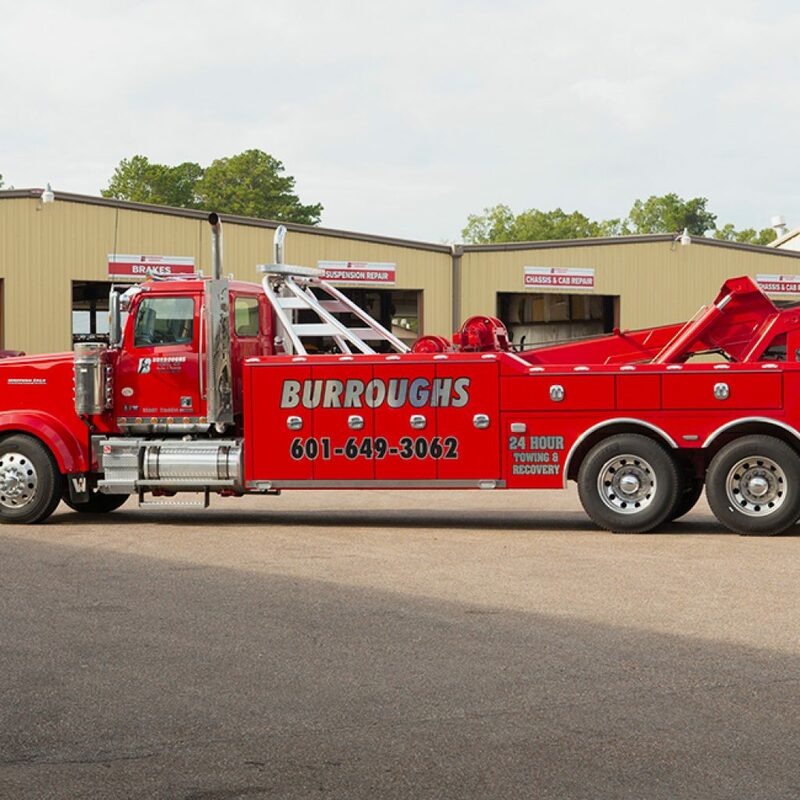 Burroughs Towing offers the broadest, most modern line of towing and recovery equipment in South Mississippi. Our skilled staff has been factory trained by Miller Industries Recovery school and can handle all of your needs, from a roll back call to a full wreck recovery. Our list of equipment covers the spectrum, from a roll back to a 16-ton wrecker to a 35-ton wrecker, and up to the largest rotator built, the 75-ton Century Rotator. 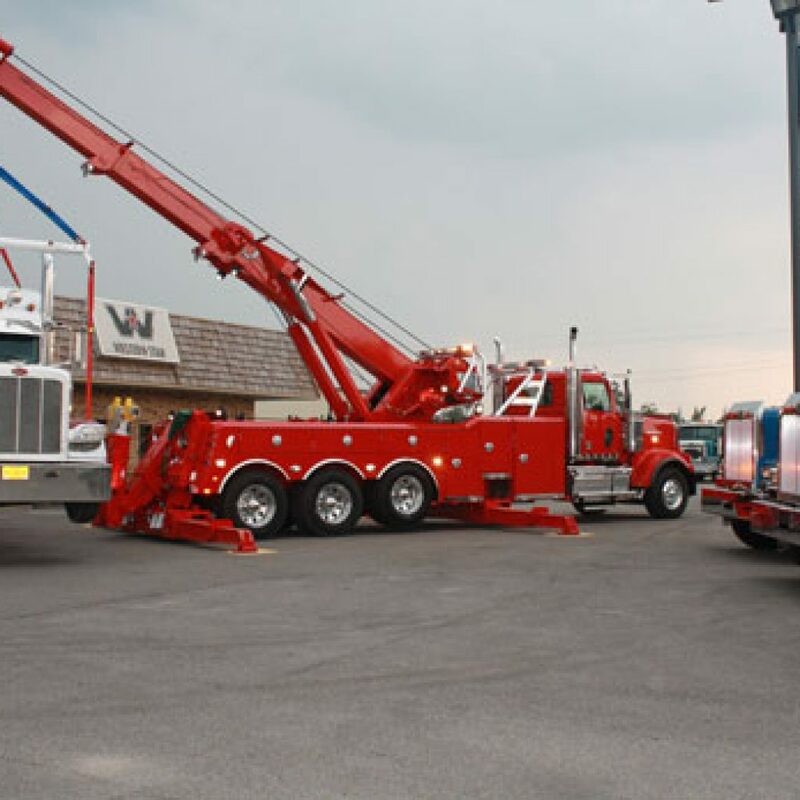 In addition to recovery work, our 75-ton rotators perform excellent as mobile crane. We have the proper equipment to perform onsite lifts for various industrial applications. Century 3212 — A 16-ton tow truck with dual 15k lb. winches mounted on a 2014 Western Star chassis with a DD13 455 HP Detroit Engine, followed by an Allison 4500RDS automatic transmission. This unit is the ideal vehicle for towing. 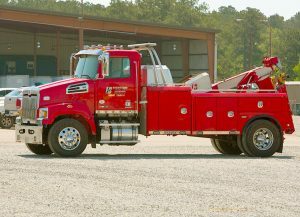 Century 7035 — Towing and recovery wrecker equipped with two 35k lb. winches and 128” low-profile underlift. This unit is mounted on a 2018 Western Star chassis with a DD16 560 HP Detroit Diesel Engine, followed by an Allison 4500RDS automatic transmission. This unit functions as an excellent complement to the 1075S on large recovery jobs, or a highly capable recovery vehicle in its own right. Century Class 1075S — 75-ton 360 degree rotator with 4 boom winches and 1 Drag winch mounted on an 2011 Western Star Chassis with a DD16 600hp Detroit Engine, followed by an 18 Speed Transmission. 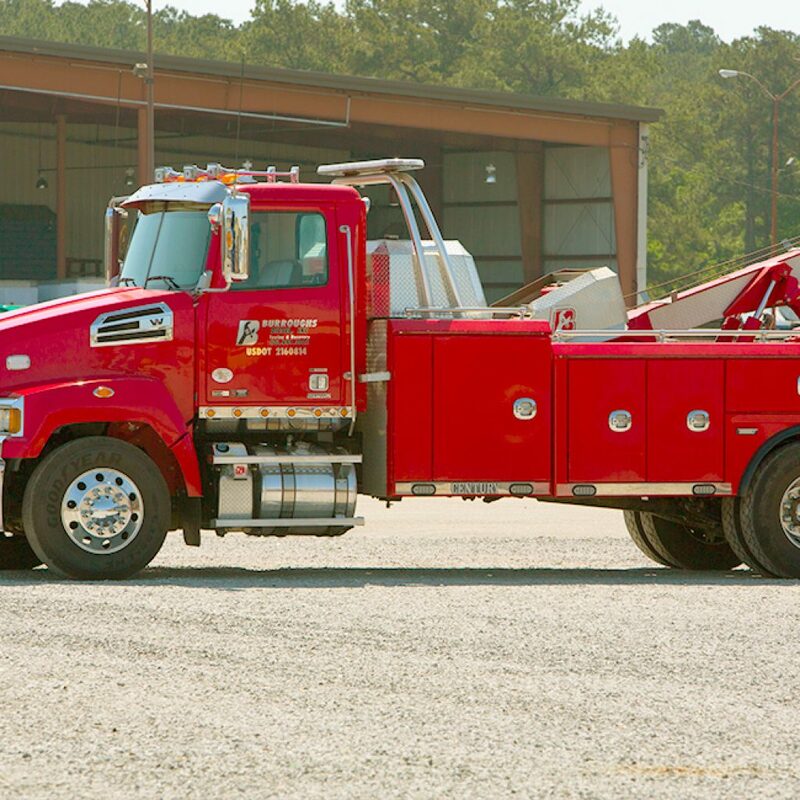 This is the largest towing and recovery wrecker currently manufactured, and is the preeminent recovery vehicle. In addition to recovery work, this unit is a highly functional mobile crane. 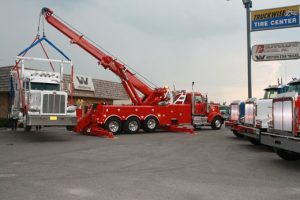 Please contact us for all of your towing, recovery, and crane needs!